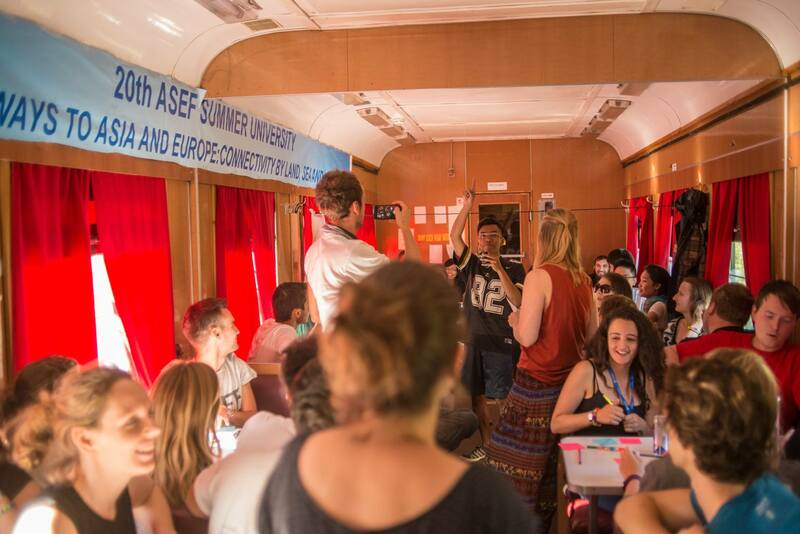 Nah, basically the ASEF Summer University (ASEFSU) is a 2-week experiential learning journey and ‘interdisciplinary innovation’ for Asian and European students and young professionals. It is designed to foster cross-cultural exchanges and networks among youth. It also offers opportunities for students and young professionals to broaden their horizons, deepen their knowledge on contemporary issues, and propose concrete solutions to societal challenges. You will be traveling, learning, and, at the same time, finishing some cases/challenges given to your group. This program is for students, entrepreneurs, academics and professionals; all between the ages of 18 and 30 years old from any of the 51 Asia-Europe Meeting (ASEM) Partner countries. You must have strong skills of English both verbal and written. Don’t worry, this program is designed to also accommodate those with disabilities! This 21st ASEF Summer University will be held in Melbourne (Australia) and Christchurch (New Zealand). The event will be executed at 27 January – 10 February 2018. How exciting it is to explore Australia and New Zealand with fellow young bright-minds and positive energy! There is no registration or participation fee: the organizer will cover accommodation and meals for the duration of the program, plus a travel subsidy from your country of residence to the starting point and back.I might say it’s free, unless if you want to buy meals/things outside the program – you will have to use your own money for that. Alright, on this point, I might use my personal experience to convince you that this program is super cool and a lifetime experience! I was a participant of the 20th ASEF Summer University, taking place in China, Russia, and Mongolia last year. The participants were 47 young people from 45 Asia and Europe countries: almost each country was represented by 1 person, except Belgium and United Kingdom with 2 reps. Anyway, we spent 21 days (and more, for those who extend for several days) and travelled together for +8000KM in those 3 countries. Our theme was “Gateways of Asia and Europe: Connectivity by Land, Sea & Air”, in which the word ‘connectivity’ is seen from 3 lenses: Human Connectivity, Trade and Economic Cooperation, and Transport. As a young professional in Human Resources Management, I was included in the ‘Human Connectivity’ lenses. We moved from Beijing (China), Harbin (China), Vladivostok (Russian Federation), Chita (Russian Federation), Irkutsk (Russian Federation) and Ulaanbaatar (Mongolia) – then back to Beijing (China) again. In each city, we were hosted by a University and Youth Organization where we did our seminars, workshops, and other fun activities. 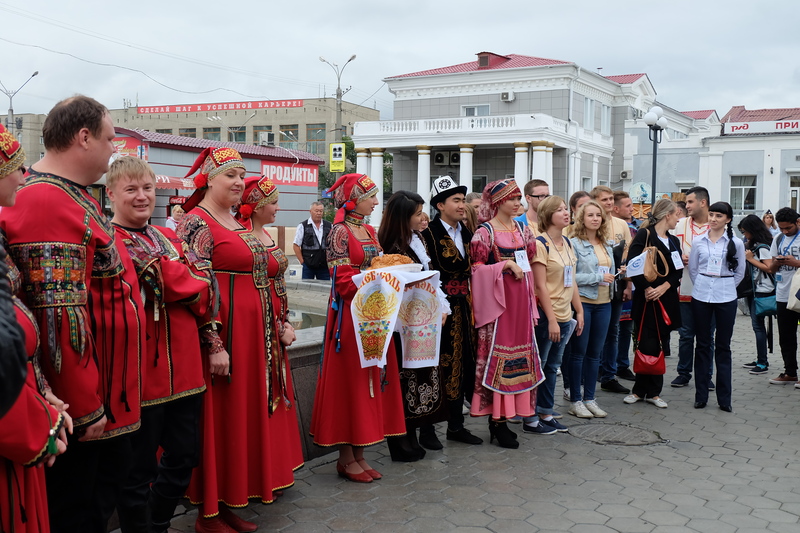 Not to mention that some of learning activities also happened during our journey inside the train, especially on the Trans Siberia train in Russia. Aside from the professors and experts from the universities and countries we visited; all participants were divided into some groups based on their expertise and interest, and each had to host/facilitate a workshop/seminar based on the topic related to their respective expertise. It’s a balance between learning, doing some projects (solving challenges), as well as traveling and enjoying the cities we visited. There were so kind student-volunteers from the universities and youth organization who whole-heartedly hosted and acted as tour guide for us to understand more about the cities. Those universities were Beijing Jiaotong University (Beijing), Harbin Institute of Technology (Harbin), Vladivostok State University Economics and Service (Vladivostok), Trans Baikal University (Chita), and Mongolia Youth Federation (Mongolia). After the event finished, we made a WhatsApp group; and surprisingly is still very active until now. So many ‘mini reunions’ happened and might happen more. As for example this 2017 new year, I visited Bangkok and Phnom Penh and met ASEFSU alumni there; and now I am studying in UK and already met 3 other program alumni. Let see if I travel to Europe during my academic break next year, will certainly arrange some meetings with other program alumni! Well, these are some benefits that you will get if you join this program: learning experiences from various topics, expertise, and backgrounds; having new (nice, crazy, bright-minded) friends from various countries across Asia-Europe; traveling to places you might never imagine before; understanding the culture (and various factors/dimension behind it); etc – will somehow change the way you see people and the world. And of course, how you will learn from things happen around you will very much depend on whether you’re able to reflect or to contemplate to grasp something from those. This year’s theme is “Youth with Disabilities: Shaping Inclusive ASEM Societies”. I am pretty sure that the program will be fulfilled by thought-provoking lectures with group research and experiential learning. It’s also listed that the ASEFSU21 will cover 8 thematic areas: Mobility, Rights Protection and Legislation, Economic Security and Employment, Inclusive Education, Health and Well-Being, Participation in Society, Access to Information, also Attitudes and Perceptions. Sounds like students and young professionals from various backgrounds can be related to those areas of interest! So, is it you who will represent your country to join the 21st Asia Europe Foundation Summer University? Register HERE before December 10th! If you want to see more of last year’s photos, click HERE! Previous Post An Old Q: Is Any Job Better than No Job? Thank you for Info Mr Yosea. Hi! I’m applying for ASEFSU22. Can you tell me how they select the representatives? What’s the screening process?